Spring and summer are the seasons for the most flavourful, fresh ingredients- that means delicious pies! Learn how to make 3 pies and use those recipes for infinite options! 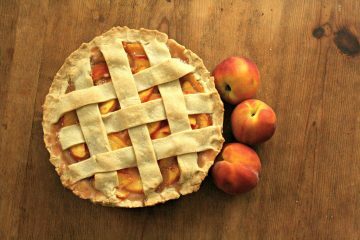 Peach and Strawberry Lattice Pie: Once you know how to make this pie, you know how to make many more! Puff Pastry Thin Apple Tart: A lighter version of your regular apple pie. The perfect end to a meal, or as an anytime snack! Valetine (Aka Tartine of Tartine & Maple Cuisine ) is a French cook who’s passionate about cooking and baking. 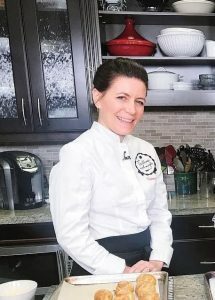 She teaches mostly French food cooking and baking classes- both in your home, and around the Vancouver area! Trained in France in culinary skills, she has worked for catering events in prestigious Champagne mansions and in Paris at various locations including Hotel Ambassador. Valentine is now a full time cooking instructor in addition to a personal and private chef. Tartine & Maple’s mission is to demystify French food and address other food myths- making cooking fun and accessible for all!